Pray without ceasing the Bible tells us and already I feel like my prayers don’t measure up. I want to pray bolder. Longer. More fervently and more persistently. And though my prayer life has come a long way, I still catch my thoughts drifting mid-prayer or remembering to pray as a last resort. I want to be a better prayer warrior – not to check something off a list, but because there is power in prayer. 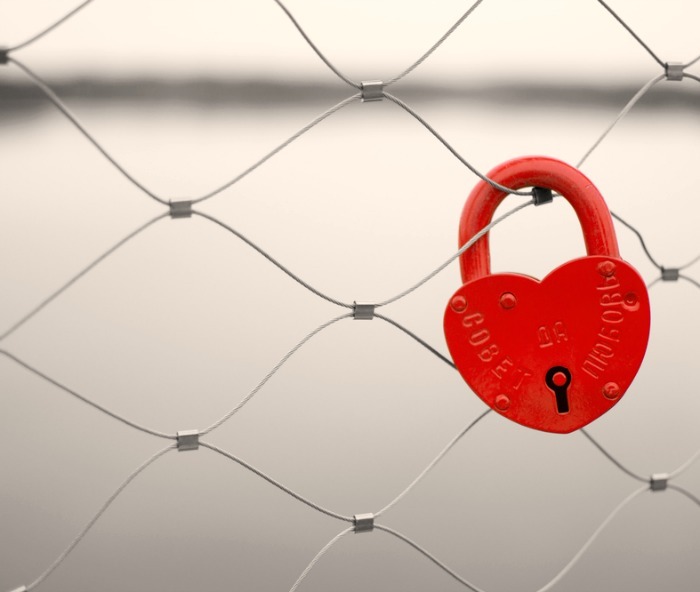 Over the years, I’ve found small ways to incorporate more authenticate prayer into my life. Yes, we can get up an hour earlier every day and devote that time to prayer or take a day to fast and pray for a specific need. But there are also ways to make prayer as natural as breathing. To incorporate it into all of our daylight hours rather than delegate it to the beginning or ending minutes. And to be sensitive to how the Spirit is leading us to pray as we go about our normal activities. If you want to improve your prayer life, let’s look at 7 ways to strengthen our prayers. Look around the stores and St. Patrick’s Day seems to be about lucky clovers, rainbows and leprechauns. But the real Saint Patrick was a bold missionary who faced tremendous danger to take the gospel back to his enemies. 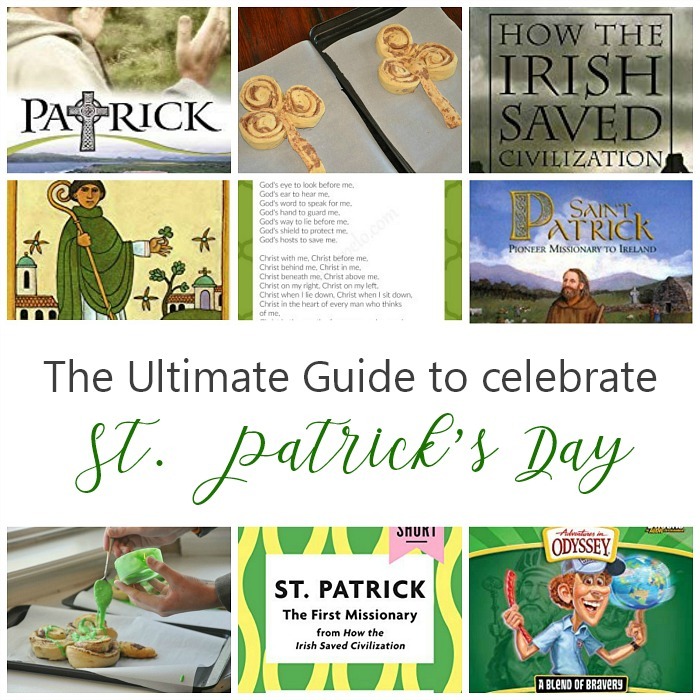 St. Patrick’s Day is celebrated every March 17 and it’s a great opportunity to explore the early church, missions, the Trinity and celebrate the legacy of the real Saint Patrick. This post is chock-full of activities and resources for your ultimate guide to celebrate St. Patrick’s Day. First, let’s separate fact from myth and look at the real story of the St. Patrick. Fun fact: Patrick was not Irish and nor born in Ireland. St. Patrick was actually born in Roman Britain in the mid-400’s, in the area of what is now Scotland or Wales. He grew up on a farm and though his family was active in the village church, Patrick was not a believer. I’m apt to think I’m the only one who didn’t know this lesson. Maybe the grief myths I’ve been writing on this month aren’t news to you. Maybe you came into your season of grief much wiser than I did. Or you had fewer expectations – I’ve always been one to set these internal expectations for myself and then hold myself to them. There was a time I thought loss was something you get over. Like getting over a broken leg, it would hurt hard for a while; it might even cause a slight limp, but there would be a time where it would heal and the once-wound only showed up in an internal scan. That was before my heart broke. Of course, even in those first weeks, I had a vague notion that after the debilitating hard lifted – if we made it through that – wa-lah. We’d be healed. This time last week, I woke to the aftermath of Hurricane Hermine. The storm – stalled for days in the warm Gulf waters – had finally made landfall just after midnight. Most of Hermine’s wind and rain passed over us through the night as we slept. We lost power sometime in the dark small hours of morning, causing the smoke alarm to give a half-hearted warning periodically, but all our electricity was back on by the time the last of the kids got up on what would be a no-school day. The hurricane didn’t do any damage, thankfully, although it left a swath of yard debris. Our front lawn was littered with heavy limbs, green leaves and twigs, and hundreds of rangy branches draped with Spanish moss. Friends west of us did not fare as well. The storm came in right at Florida’s elbow – the crook where Florida’s panhandle and peninsula meet. In the panhandle city where we lived for 11 years, more than 100,000 homes were left without power. 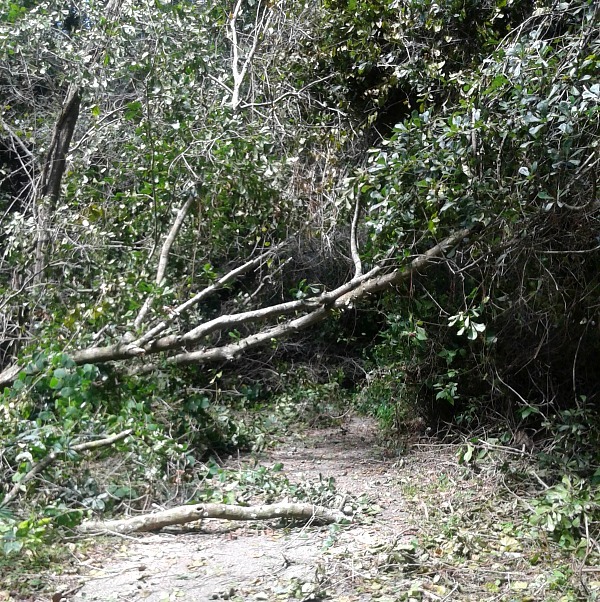 The storm uprooted huge oaks and toppled tall pines, making a tangle of downed electrical lines and blocked roads. Thanks Hermine — needed a fresh start. A new start. 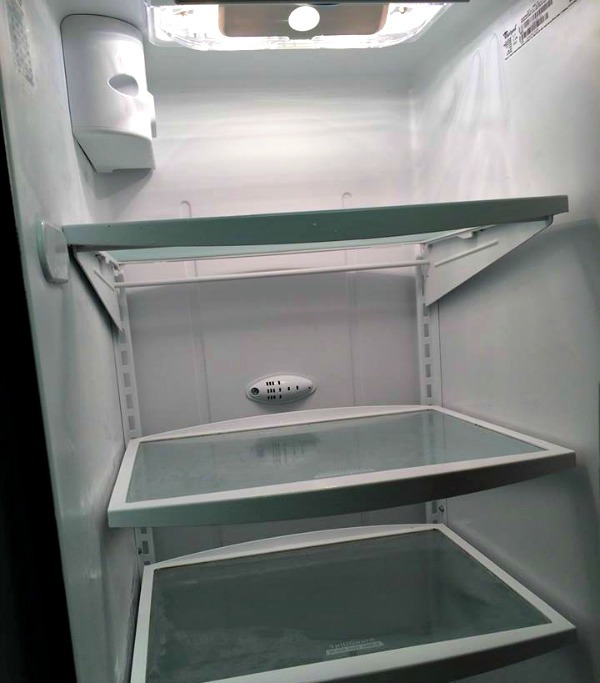 Cleaned out. New life. It’s been 10 years since Florida has had a direct hit from a hurricane. Storms can certainly bring their share of damage, leaving a trail of brokenness, damage and debris. But there’s also this paradox: storms are a catalyst for new life. 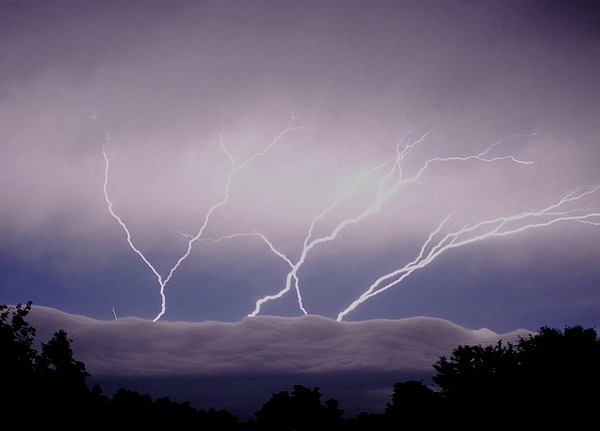 Lightening is crucial to plant growth because it dissolves nitrogen into a form plants are able to absorb. Hurricanes stir up nutrients that have settled deep in the ocean helping marine life to thrive all the way up the food chain. 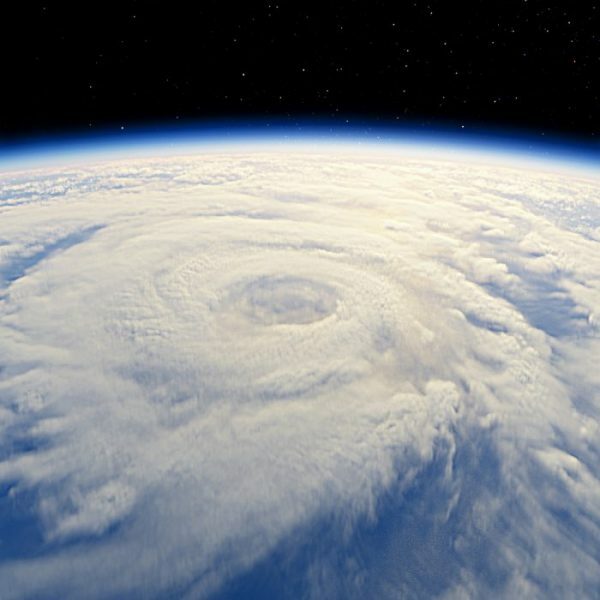 Tropical cyclones re-balance our global climate so that the tropics don’t become too hot and the polar regions too cold. 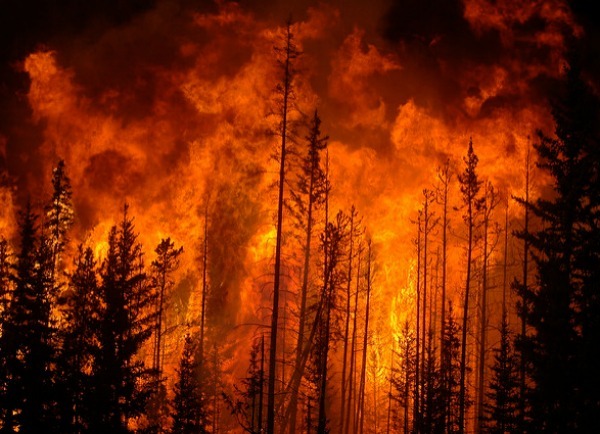 Fires open a forest up to needed sunlight and create nutrient-rich soil to produce trees much stronger and healthier than trees not touched by fire. The soil becomes so fertile that new growth is sometimes seen just days after a raging fire. Volcanoes shower ash over vast areas, enriching soil for new plant growth and farmland. Even earthquakes can uncover mineral deposits vital to the health of people and animals. New life. Fertile soil. Abundant growth. What’s true in the natural world is also true in the spiritual world. Storms in our life can certainly create destruction and damage. Some storms howl and rage as they move over our life, but leave behind no real, lasting destruction. But those other storms. They batter with full force, striking at our very roots, toppling us and leaving the life we knew in tangles. Even the best preparation falls insufficient. Like nature, there’s this paradox: storms can be a catalyst for new life. Storms can clean out the dead wood of our soul better than a thousand sunny days. When what we thought mattered so much is cleared away as so much worthless debris, we are opened anew to needed Sonlight. Life’s storms can do their damage. Yes, they can. But if we will cling to God, even the most devastating storms can create in us fertile soil and make a place for abundant growth. New life that never would have come in the breezy ordinary. Not new life despite the storm but new life because of the storm. The hard work is not just in navigating through a storm; it also comes after the storm. Wreckage must be cleared; rebuilding must begin. It will look different. New life always does. Not Plan B, but Chapter 2. We have this hope from our good God: the new life that springs from the fertile soil of our suffering can thrive – strong, vigorous and abundant. If you’d like to get encouragement in your inbox, subscribe here and I’ll send you my FREE 100 Days with Christ Bible study and journal. We started our 18th year of homeschooling this week. I shuffled shelves, scoured the attic for a missing grammar book and lay out fresh school supplies and goodies at each child’s place around the dining room table as we ramped up to full schedule. We’ve graduated four kids so far with three more still at home. The years have been a sieve to all the daily tasks — the memory work, Bible study, history projects, co-op days, math facts, 5-point essays. Though so much of it was necessary and all of it seemed valuable, two things stand out above the others as time best spent: our shared mornings of Bible study and the shared books we’ve read aloud. More than any other work, those two seemed to have molded and shaped our family, our thoughts and values and perspective. 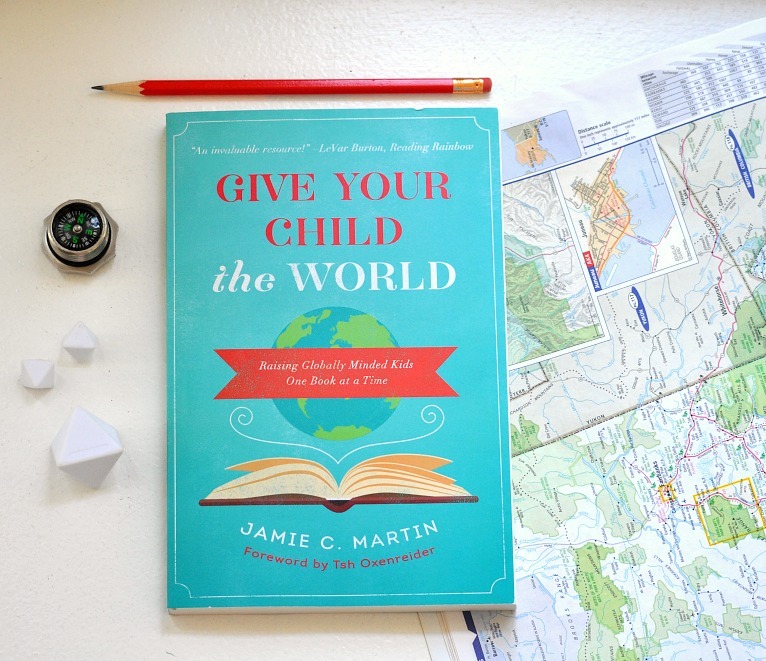 With the launch of a new school year, this new release, Give Your Child the World: Raising Globally Minded Kids One Book at a Time by Jamie Martin, arrived in my mailbox at just the right time. I had been casting about for an exciting theme or new unit study — something that would give this school year a special spark. This book is it and I could not be more excited to explore the world and this treasure this year! Give Your Child the World is a carefully curated list of more than 600 children’s books from all around the globe. These books listed let kids taste and see the people groups and cultures of countries on every continent. It’s not a geography book, though you could easily incorporate many of the books listed to round out an amazing world geography course. It’s not a missions book, though these books would provide a rich backdrop to help understand the people and places where missions takes place. It’s really a buffet of some of the best in children’s literature with a global perspective. More than that, Jamie marvelously provides numerous ways for families to bring the world into their homes — ideas like creating a prayer jar, learning about ethical spending, using Google earth, traveling vicariously through a flat paper doll and sponsoring a child in another country. Jamie lives out what she writes in Give Your Child the World with four countries represented in her own family. She’s done the hard work of reading through hundreds of books to provide this list of the best. My only wish is that it included selections for high schoolers — I’m hoping perhaps as Jamie’s own children grow, she’ll share in the next edition titles she’s culled for the oldest kids at home. I’m delighted not just to tell you about this great book, but to give away a brand new copy to one of you. This is a book you’ll want to keep on your shelves as a resource for books to pull from the library, used sales or to gift on special days. This book will give us the special spark and unique theme I so wanted for our school year as we travel the globe through the best of children’s literature! To enter to win a new copy of Give Your Child the World: Raising Globally minded Kids One Book at a Time, please leave a comment below. This giveaway will stay open until Sunday, August 28 at midnight and I’ll announce the winner on Monday. P.S. I’ve been working this week on the personal spiritual retreat materials that are almost ready….you can get a sneak peek here! **UPDATE: The giveaway is now closed and the winner is Teresa M. Be sure to look in your mail for some happiness, Teresa!